BCA AS1428.1 -2009 compliant leversets. Case, cover & faceplate constructed from 304 grade stainless steel. Operated by key or handle outside or by handle inside. 60 mm backset as standard. 14 mm stainless steel reversible latch bolt. Compatible with most electric strikes. 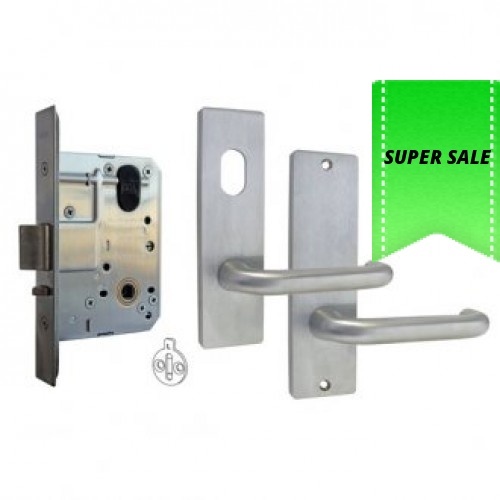 MS2 M Series lock conforms to level SL8 (Physical Security) in accordance with Australian lock standard AS4145.2-2008. 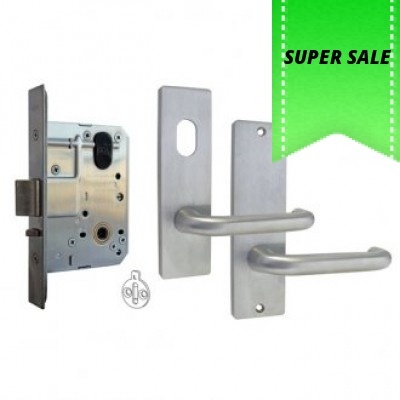 MS2 M Series lock conforms to level D8 (Durability) in accordance with Australian lock standard AS4145.2-2008. Fire rated up to 4 hours. 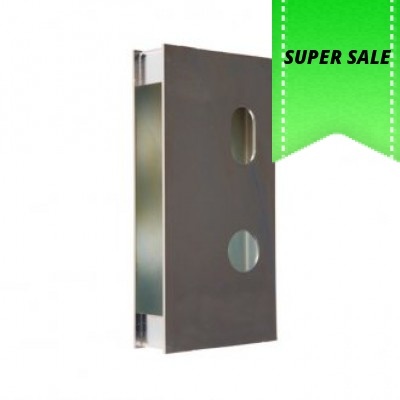 Rectangular exterior square end plate with oval cylinder hole. Rectangular interior square end plain plate. Plate size 165 x 44 x 12 mm. Plates are designed to fit back to back. Suits door thickness from 32 to 50 mm. External plates supplied with fixing screws. Screw fixing centres 149.25 mm. Disabled access AS1428.1 compliant lever. BDS 3572 lock box with spindle hole. Suits 32 mm doors fitted with Lockwood 3570 mortice locks. ..